Likud Beytenu regains losses in the polls, but left-wing parties say they will try to thwart a coalition. The Likud Beytenu party regained its losses this week, ending with enough support to win 36 Knesset seats, according to a new poll released Friday by Maariv/nrg. The Labor party regained losses as well, moving up to a solid second place with 18 seats. Bayit Yehudi (Jewish Home) remained in third place with 13, and Shas in fourth with 11. 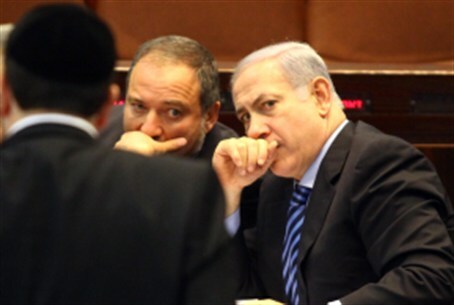 Likud Beytenu’s uptick in support came as left-wing party heads threatened to make it difficult for the party to create a coalition. Labor head Shelly Yechimovich announced Thursday that she would not join a coalition led by Prime Minister Binyamin Netanyahu. “Under my leadership, the Labor party will either lead the government, or sit in the Opposition – there is no other option,” she said at a press conference. However, Lapid did not rule out sitting in a “moderate, centrist government,” led by Likud.